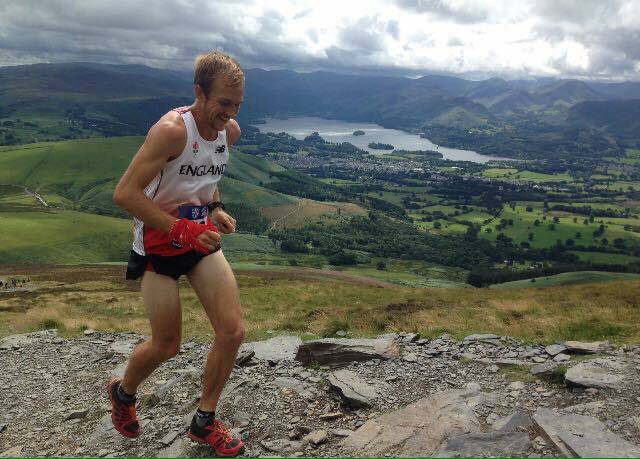 A couple of weeks ago I somewhat accidentally qualified to run for England in the “Home International” uphill mountain race. 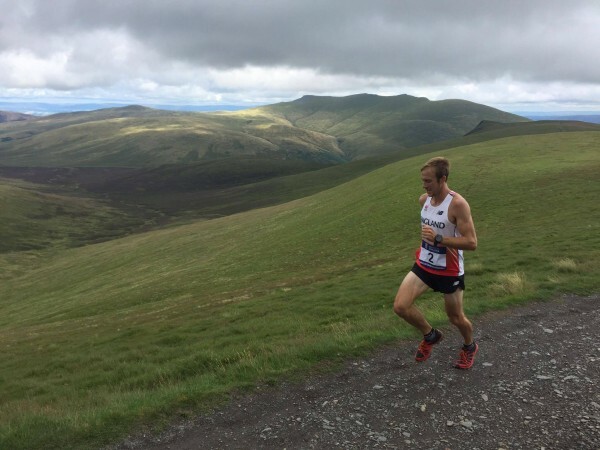 As someone who prides himself on not saying no to a challenge, I changed my flight home from Scotland and made the trip down to the Lake District to once again run up Skiddaw. Not only would this race crown the GB Champion; it would also act as the qualifiers to run for Great Britain in the upcoming World Championships. It was for this reason there was talk of either racing to win or race to make the top 6 (that would likely qualify for the team). I was intent to merely run up as fast as I could and enjoy the view from the top. It turned out this was a good plan as winning was somewhat out of the question as Andrew Douglas romped up for an impressive win! 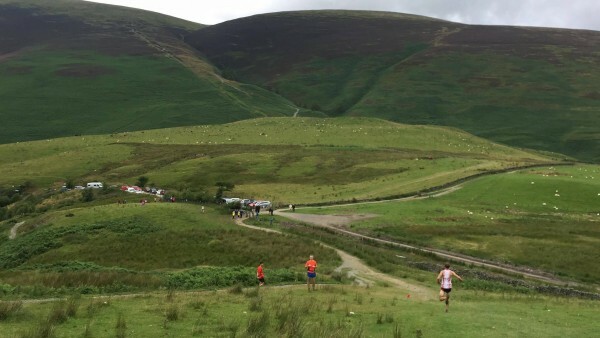 The course would be slightly different to the qualifying race up Skiddaw. This time we would summit a smaller mountain (Latrigg) twice, before ascending Skiddaw and finishing on top. This would make the course roughly 11km long with 1100m of ascent and 200m of descent. After just a kilometre into the race I found myself stranded. Two guys were already peeling away and there was a healthy group behind me – but I was alone. Preferring to run alone as to in a group, I put my head down and tried to summit Latrigg as quickly but energy efficiently as possible. On reaching the top I tried to let fly on the following short downhill but neither gained nor lost any time. Starting the second ascent of Latrigg it looked as if Andrew Douglas was pulling away from everyone and looking strong. I, on the other hand, was not feeling particularly strong. Upon summiting again, I wanted to feel an abundance of energy ready for the main climb up Skiddaw but felt I had already used a little too much gas. I knew the pain I was about to face if I wanted to get up in my current positon of third and wasn’t looking forward to it…this was going to be tough. Hitting the bottom of the climb I tried to get into a good rhythm, one foot in front of the other, over and over, and I would make the top. What felt like slowly I started to go up the main climb. I felt the effort was just manageable but tried not to imagine the 700m of climbing I had left. Even the fact I was slowly gaining on second didn’t excite me, I just wanted to get to the top as quickly as possible so I could collapse. Nearing the top, I made contact with second. Sluggishly I thought “Well that’s great, but I’m not going past, I’m happy to finish here in a tight third”. As we reached the ridge and final small climbs my body seemed to take over and I pulled out to overtake. We were in the clouds now and it was clear neither of us knew where the top was. I would attack and take the lead for a few painful seconds before he would come past again. We reached a slight downhill and I hammered down. I was in the lead when I looked up and could see the top cairn about 15m uphill in front of me. Ignoring everything I put one foot in front of the other as fast as possible, concentrating on nothing but the cairn and the promise of rest. Coming up to it, not knowing what to do I slapped the top of it and collapsed. Mere seconds later Chris Smith who I had just been battling with, came over in third and just behind him Chris Farrel in fourth. 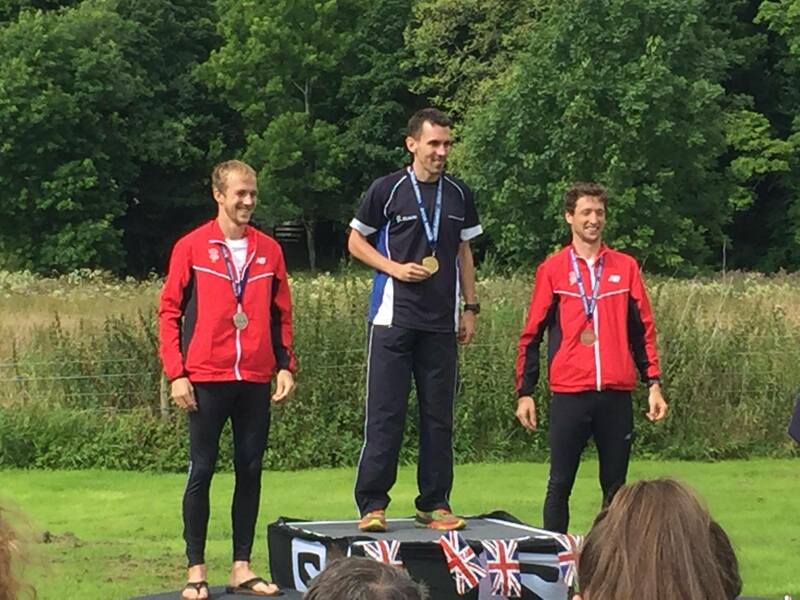 I had come 2nd, making me top in England (by three seconds) and second in Great Britain. Although my placing automatically earns me a spot with the GB squad for the World Championships in Bulgaria on the 10th of September, this will be a trip I won’t be making. In order to be selected it seems I would need to give this race my undivided attention for the next 6 weeks, ultimately stopping me from running in Tromsø this weekend, Kima in a few weeks and Toughest Oslo. Considering I have raced every weekend for the past 10 weeks I felt as if I could manage at least Tromsø and be in top shape, but to sacrifice the others was still not enough. It was a tough decision to make but then again I run for more reasons than to earn a GB vest. In Tromsø I will be able to scale wild mountains, drinking from streams as I go. It would seem, at least for now, I can’t pass this experience up to run for 50 minutes up a ski slope.